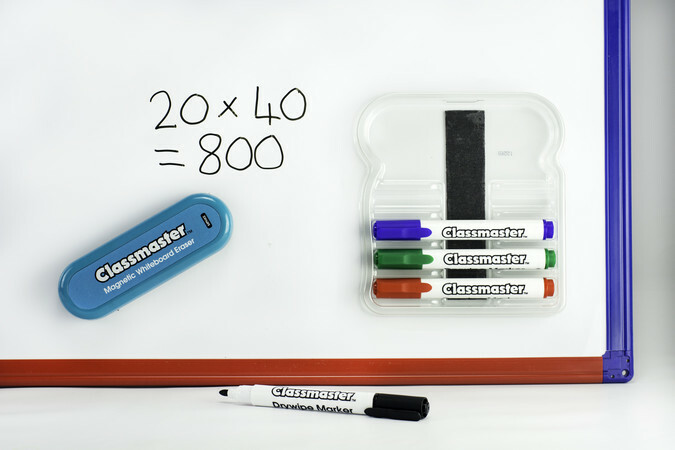 Our Classmaster Magnetic Pen Holder with Eraser and Pens is one of our newest additions to our ever popular Classmaster range of quality, affordable school stationery. This week, we’re celebrating it by making it our Product of the Week! …and is ideal for keeping any classroom creative area tidy and organised. …one in blue, one in black, one in red and one in green. All are top-quality bullet tip and you get a handy eraser, too. 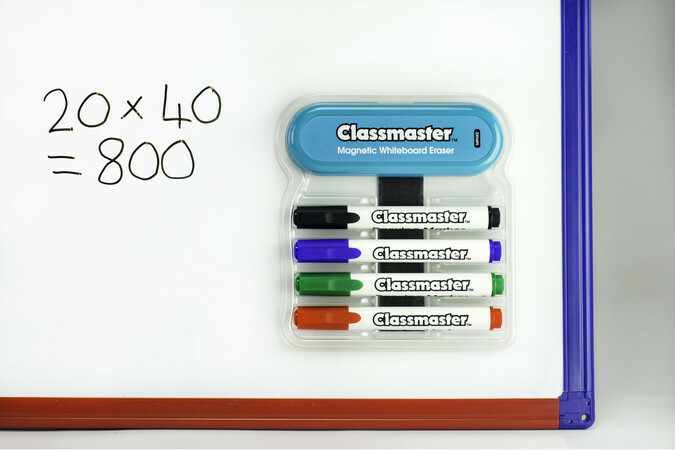 If you like the look of our Classmaster Magnetic Pen and Whiteboard holder set, check out the rest of our Classmaster range – quality, affordable stationery for every classroom. You can view the whole Classmaster range on our website here, or in our brand new, shiny catalogue on pages 7-31. Get in touch with us at info@eastpointglobal.com or call us on 01505 525555 if you’re interested in stocking any of our premium and affordable stationery items.